It is August in Mississippi. Hot is an understatement. If you could live on Popsicles, ice cream or sweet tea (with loads of ice), you would. After a long hot day, it is so nice to come home to a shower and the central air on 65 degrees and just sit there. 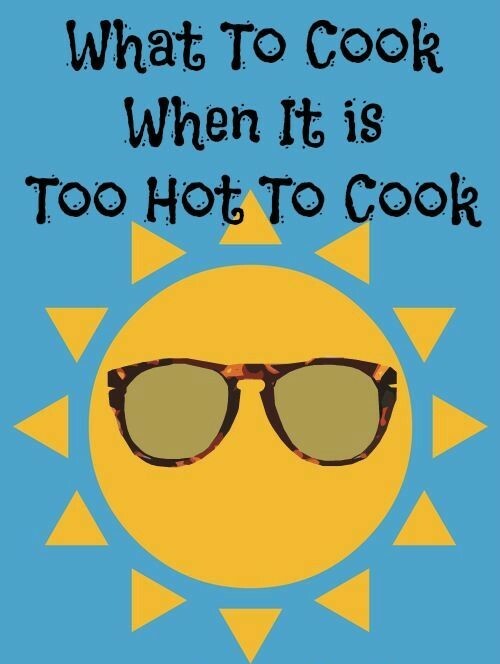 I don’t know about you, but I am rarely inspired to cook with the temperatures are hovering at 100 degrees and the heat index is sky-rocketing. I asked Facebook and Twitter friends and followers to share some of their favorite things to eat, when it is too hot to eat, and the responses were a little surprising! Other than ordering take-in (which is the best solution to heating up the oven in August in Mississippi), Paula Alford said she liked BLT’s and several said they liked tomato sandwiches for supper. Kenny King liked having peas and cornbread and Teri Stoker said she liked fixing Chicken Alfredo for her family. 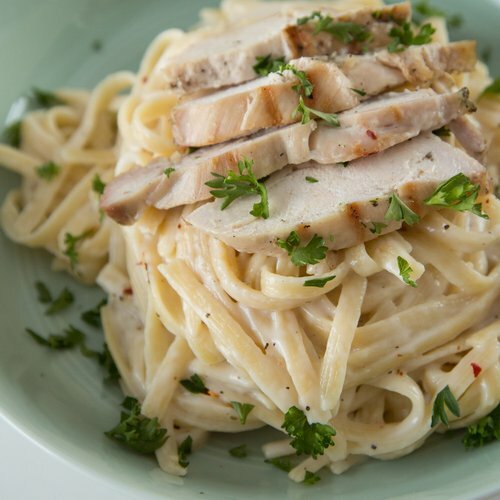 I love a quick and easy one-pot pasta dish on a hot summer evening! In a skillet over medium heat, heat oil. Add chicken and season with salt and pepper. Cook until golden and no longer pink, about 8 minutes per side. Transfer to a plate to rest, then slice. To the pan, add milk, chicken stock and garlic. (Personally, I am not a fan of garlic. For me, I sprinkle a little garlic powder to get the flavor with the garlic overwhelm.) Season with salt and pepper and bring to a simmer. Add pasta, stirring frequently for about three minutes. Let cook about 8 minutes more, or to your desired doneness. Add cream and Parmesan and stir until combined. Simmer 2 more minutes or until the sauce thickens, and season again with salt and pepper. But salads would have to be the fan favorites for supper in August in Mississippi. Gaylynn Bailey said she loved chicken salad and Nancy Latham makes chef salads now and then when it is so hot. At my house, at least once a week in the summer, I will fix grilled chicken salad. I pan-fry boneless skinless chicken tenders with a little butter until well done. Chop them into bite-size pieces and put them on top of mixed greens, bacon bits, Texas-style croutons and grated cheese (usually medium cheddar) and serve hot with homemade Ranch dressing. YUM! We make a big plateful and even Pepper (who can be anti-green-stuff) loves it! For chef salad, we use deli slices of turkey and ham instead of chicken. It just depends what we have in the refrigerator at the time. 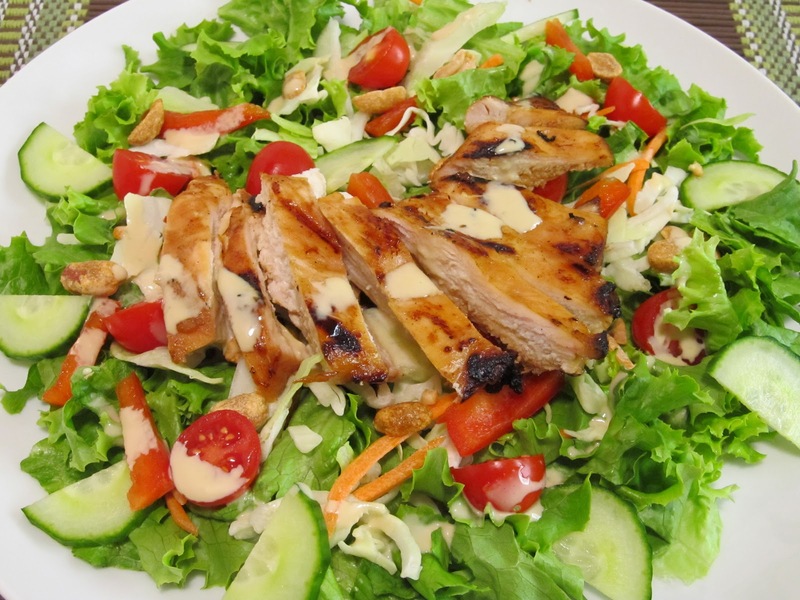 We will also make tuna salad and chicken salad – sometimes sandwiches, sometimes just on a lettuce leaf. I try to always boil an egg or two every few days in case the mood strikes for egg salad sandwiches. We really do try to make summer meals easy-breezy! Chicken salad is one of those dishes like pimento cheese –everyone has their own recipe. This is one I have been wanting to experiment with that a friend gave me last year, minus all that celery. I like a little, but three cups is over the top! Mix chicken and egg, then add broth, stirring well. Chill 30-60 minutes. Mix mustard, Durkee’s, sugar and mayonnaise (Blue Plate, of course), stirring well. Add celery and relish to the chicken mixture, then gradually stir in dressing. Do you have a few great recipes to survive the hot summer sun? Send them to me at gwenwoodssisson@yahoo.com! Otherwise, I am ordering a pizza and heading home tonight! Too hot to cook!